Margo Price at The Bowery Ballroom, New York, NY, 11/15/2016. At this juncture, we can all safely agree that Margo Price is the ascendant queen of alt-country, or whatever nomenclature of rich, narrative-heavy music she encapsulates. After years in acts like Buffalo Clover and Margo & The Pricetags, Price punctuated her history with the sterling solo album Midwest Farmer’s Daughter, a timeless, hook-heavy walk through the singer/songwriter’s past and an omen of a scorchingly bright future. After winning the Emerging Artist Award at The Americana Honors & Awards Show, Price has been busy touring with a full band in tow. Photographer Julia Drummond captured her show at The Bowery Ballroom last week. 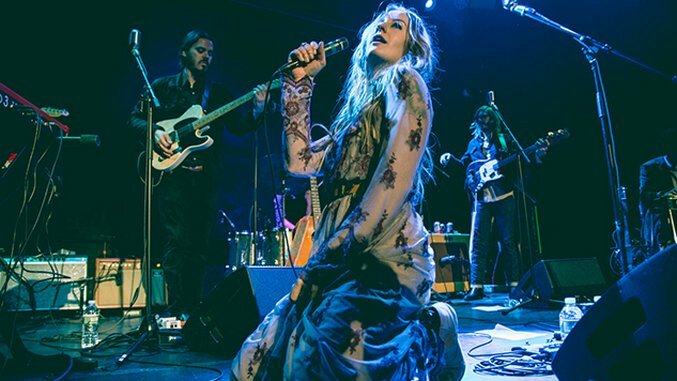 Margo Price is currently on tour in Europe and the United States.